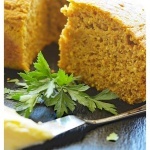 Cornbread in and of itself is pretty delicious, but how about this Easy Vegan Pumpkin Cornbread? It was an experiment of sorts, but wow! 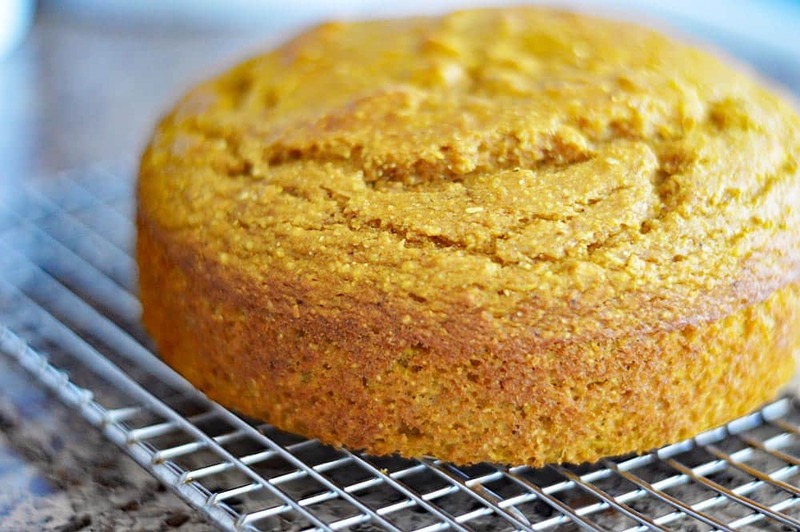 It was tender and delicious with subtle pumpkin undertones and of course, a hint of pumpkin spice. I served mine with your typical vegan margarine, but in hindsight, maybe flavor it with cinnamon? or sweeten it with agave nectar? Regardless, I highly recommend enjoying this cornbread warm. This recipe is pretty simple, but I will point out a few tips. I cut a parchment round for the bottom of this pan with a “tab” to help release it. You can also use a spritz of cooking spray for extra insurance, but you shouldn’t really need it. 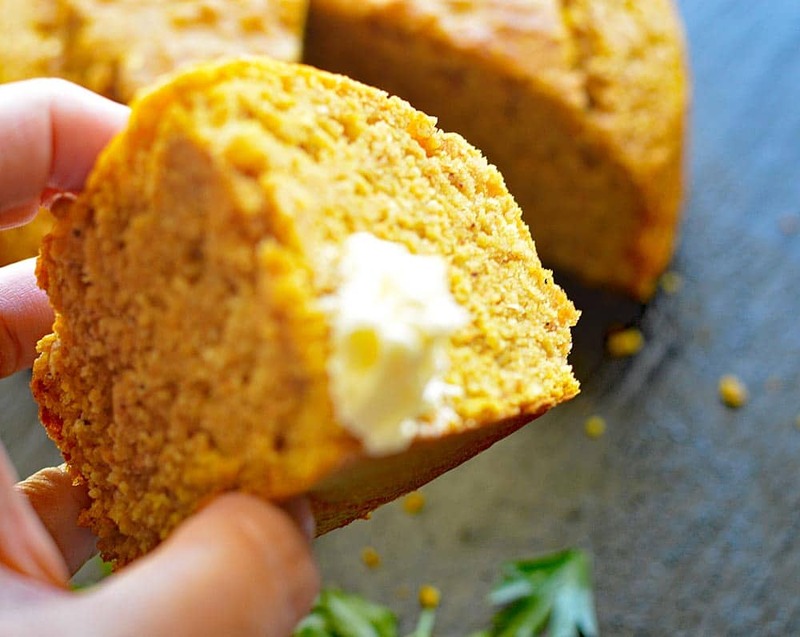 This fluffy, cake-like cornbread is soft and tender. I use two 6″ cake pans and cut into eight very generous slices. Feel free to use a larger pan, or even muffin tins. Just look at that texture! This warm, buttered (vegan, of course) slice went straight into my stomach 🙂 I can’t think of one food I love more than warm bread! The top will crack a bit. That is normal. You’ll have a nice little crisp to that top which is a nice contrast to the tender interior. Again, highly recommend serving this bread warm. 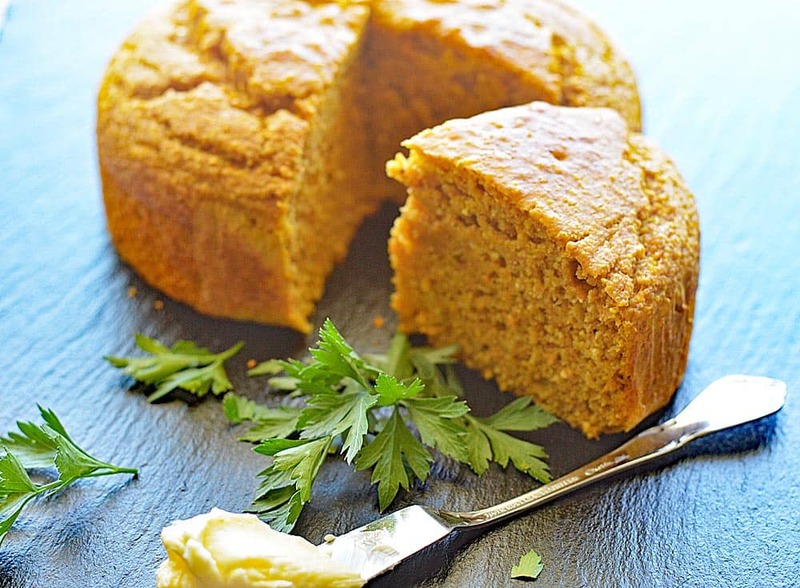 It reheats well the next day and you could even slice it to toast! 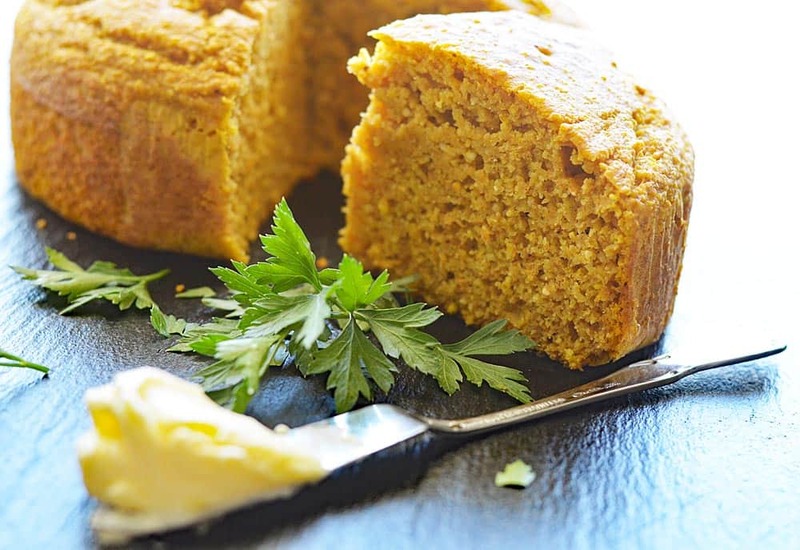 Did you make this recipe for Easy Vegan Pumpkin Cornbread? Leave a comment below. Combine the ground flax and water to create a flax "egg". Allow to sit for 10 minutes. To almond milk add vinegar and allow to sit for 10 minutes. 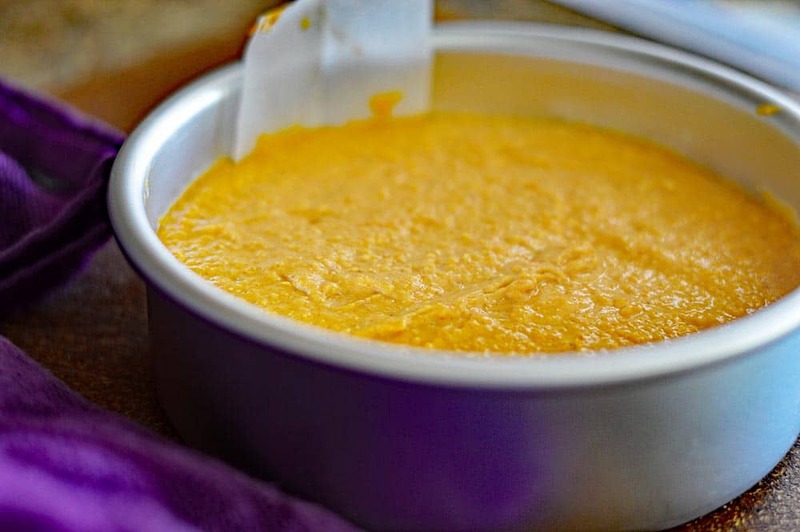 Combine the sugar, pumpkin puree, butter, and vanilla in the bowl of an electric mixer, adding the flax "egg" and mix just until incorporated. Lastly, alternately mix in flour mixture and buttermilk mixture until just combined. Do not over beat. Spray or line a cake pan with parchment and bake for 30 minutes. A toothpick inserted should come out clean.